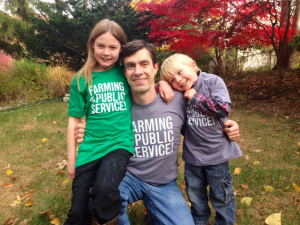 The NYFC “Farming is Public Service” tees are here for the farmers and farm lovers on your list! You can support the campaign to tackle student loan debt – one of the large obstacles new farmers face as they launch their farming careers – and do it in style, with NYFC’s new tees. Check out the store today to get yours!